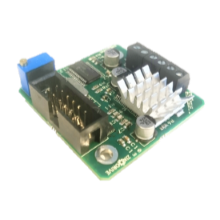 How much could a customised motor controller save you? Is it worth the switch to brushless DC motors? Unnecessary components mean unnecessary energy use! In praise of Earl Muntz. 5 Reasons We Think Automation is Great! 7 Reasons Why Customised Motor Controllers are a Great Idea! 7 reasons why customised motor controllers could be the best option for your project Need a motor controller but can’t find exactly what you need?